Was Crete really the first “Pan-Orthodox Council” in centuries? The council of 2016, which has been on the table for discussion and preparation since at least 1961 (although there were earlier proposals for such a council in the 1920s and 1930s), will for the first time ever gather representatives from all fourteen independent Orthodox Churches. The very conception, let alone the convocation of such a great or general council, is entirely unprecedented. 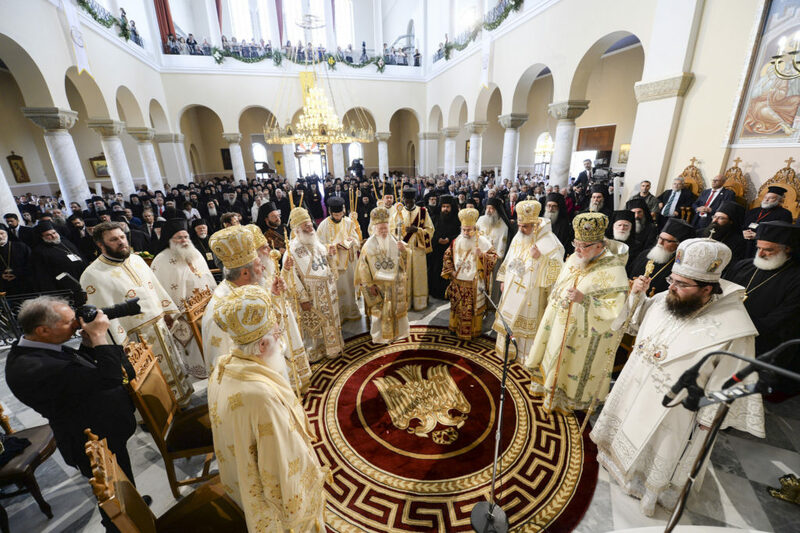 It will be attended by patriarchs, archbishops, and bishops from the fourteen autocephalous Orthodox Churches, including those from all of the ancient patriarchates, with the exception of Rome. But, even if the 2016 council had gone off without a hitch (which it didn’t; four of the Churches didn’t attend), would it really have been the first time in ages that representatives from all the Churches had met in council? Well, no. In fact, twice in the eighteen years before 2016, Pan-Orthodox Councils were called, held, and made authoritative decisions. These councils weren’t planned for decades; in fact, they were thrown together in a span of mere weeks. The numbers weren’t huge — 35-45 bishops per council — but both councils had representation from nearly all of the autocephalous Churches (broader representation than even the 2016 council had!). I’m not sure why we don’t hear about these councils, but given current events, with global Orthodoxy facing a crisis of unity, the precedent of these recent Pan-Orthodox Councils is highly relevant. In the following days, we will publish some initial articles examining these two Councils — the Pan Orthodox Councils of 1998 and 2005. From these, perhaps we can learn something that may help us in our present difficulties.